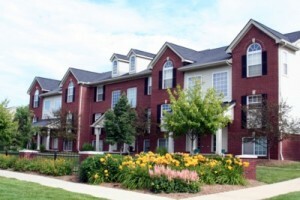 Madison Place is an Ann Arbor complex of brownstones set in a beautiful environment with a courtyard and gorgeous landscaping. These affordably priced units have open concept layouts and have many amenities nearby. There are currently no condos listed for sale and so far this year, 2 have sold. $189,500. 3160 Promenade Cir., Ann Arbor. 1242 sq. ft., + 500 in the finished lower level, 3 bedrooms and 2.1 baths. $180,000. 3079 Promenade Cir., Ann Arbor. 1471 square feet with 3 bedrooms and 2.1 baths. Last year at Madison Place, 6 condos sold with an average sale price of $174,050 and an average price per square foot of $140.00. The 2 condos sold this year have an ASP of $184,750, up 6%, and an A$/SF of $137.00, down slightly. 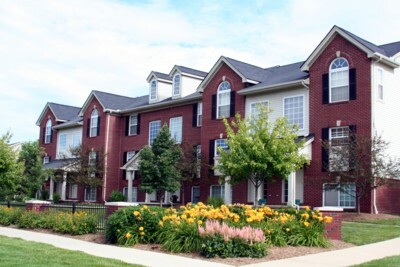 To learn more about condo values at Madison Place, contact the real estate specialists with The Bouma Group at (734)761-3060 or email info@bouma.com. View more Ann Arbor condominiums here! Madison Place Condos, Ann Arbor have been hit hard by the real estate market decline over the past few years. There are currently 0 units listed for sale and so far this year, 1 condo has sold. Due to the amount of short sales and foreclosures at Madison Place, many owners are upside down with their mortgages and are choosing to stay put instead of selling their units. But, there are many great deals to be had when a condo does come to the market. To learn more about values at Madison Place, or the nearby Arbor Heights, Turnberry Village, or Creekwood condos, contact the Real Estate experts with The Bouma Group today at 734-761-3060 or info@bouma.com. Visit Ann Arbor’s Condo Hotline for immediate active and sold listing data, floor plans, by-laws, photos and more for Washtenaw County condos! Madison Place Condos, Ann Arbor are located on the south east side of town, within walking distance of many modern amenities. 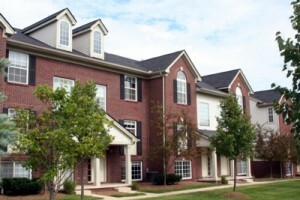 These brownstone style condos feature spacious floor plans and many upgrades. There is currently 1 condo listed for sale, 1 listed for rent and so far this year, 1 condo has been rented.